Due to the special nature of the NCAA Men’s Basketball championship tournament, we are making a slight adjustment in our broadcast schedule for the next two weeks. We won’t be airing a show this coming Thursday on Syndicate Radio, or next Thursday for that matter. Instead, we will be airing the show this weekend on Sunday night, taping for a special preview edition of the tournament known as March Madness. It will stream live on SyndicateRadio.TV at 11PM Eastern / 8PM Pacific. And we are lining up a terrific show. One of the legends in the sportscasting industry, Dave Sims, is our special guest that we have locked in for that special show. Sims will be calling play-by-play of this year’s tournament on Westwood One Radio, and has been doing so for several years. He is also the play-by-play voice of the Seattle Mariners. He’s covered professional baseball, pro and college basketball, pro and college football, and much more. Sims also was a longtime sports talk radio show host. He helped build success in the early years of WFAN, partnering with Ed Coleman in middays when the format of all-sports talk was still in doubt. 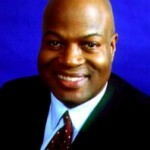 But even before that, Sims was the host of the nightly radio show called ‘Sports Night’ on WNBC in the 1980’s. This was when it and a rival show on another station were the only all-sports shows in New York, and was a pre-cursor to the all-sports format. Sims also had to endure nightly calls from a wannabe-sportcasting teenager in northern New Jersey, and made the young man feel he knew what he was talking about, even when he probably didn’t. And we are very excited to have Dae Sims join us this coming Sunday night on the show. In addition to the interview with Dave Sims, Charles and Jon will go through all of the brackets. Besure to keep checking back with us here on INSIDE SPORTS, where we are changing the world one sport at a time! NOTE: We had hoped to have Mike Gminski from CBS Sports on with us, but due to a scheduling conflict he is unable to do so this week. We look forward to having Mike on our show in the future to provide his unique perspective on college basketball – hopefully for our Final Four preview in a couple of weeks.